YOU DO NOT have to live with LIP SYNC ERROR any more. 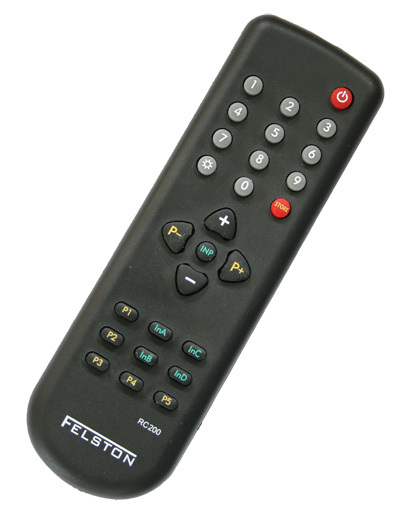 Felston's digital audio delays solve the frustrating problem of lip sync error for anyone with an AV amplifier or home theater system. When you watch TV, do you ever notice how picture and sound are sometimes OUT OF SYNC? The presenter's lips don't move quite at the same time as their voice? Irritating isn't it. This is known as lip sync error. *Even if you haven't consciously noticed lip-sync error (we avoid this impossibility by subconsciously looking away) research at Stanford University discovered it causes a negative impact on our perception of the characters and story. Click HERE for the research report. Lip sync error impacts a huge number of users of modern plasma TVs, LCD screens, DLP TVs and digital projectors. And if you think you are alone with this problem, think again. Lip sync error affects a huge number of users of modern plasma TVs, LCD screens, DLP TVs and digital projectors. If you use an AV amplifier (also known as a home theater / home cinema amplifier) then a Felston digital audio delay is the answer. "A brilliantly simple little tool that affordably solves one of the modern AV world's most aggravating problems." There are many causes of lip sync error, where the sound is heard slightly ahead of a person's lips moving. One cause is display technology itself - plasma and LCD screens use sophisticated image processing for great pictures. But this processing takes time and causes the image to appear slightly after the sound. In addition, television broadcasts themselves can suffer from lip sync error too. Felston digital audio delays work together with your existing AV amplifier. It is compatible with any source that has a digital audio output, i.e. any DVD player and many cable/satellite/HDTV receiver boxes. Sources with stereo (analog) audio output, e.g. older cable/satellite receivers, can also be connected via a low-cost analog-to-digital converter. The Felston unit connects between your source and AV amplifier. It delays the audio signal reaching your amplifier by whatever you require so that sound and picture are once again in perfect sync. Each model includes a remote control so you can adjust the delay from your armchair. Every Felston digital audio delay combines quality construction and electronics with ease-of-use and value for money.